As much as I would like to take credit for everything you’ll see here, many of the pieces you will see on this site are co-designs between me and a client. 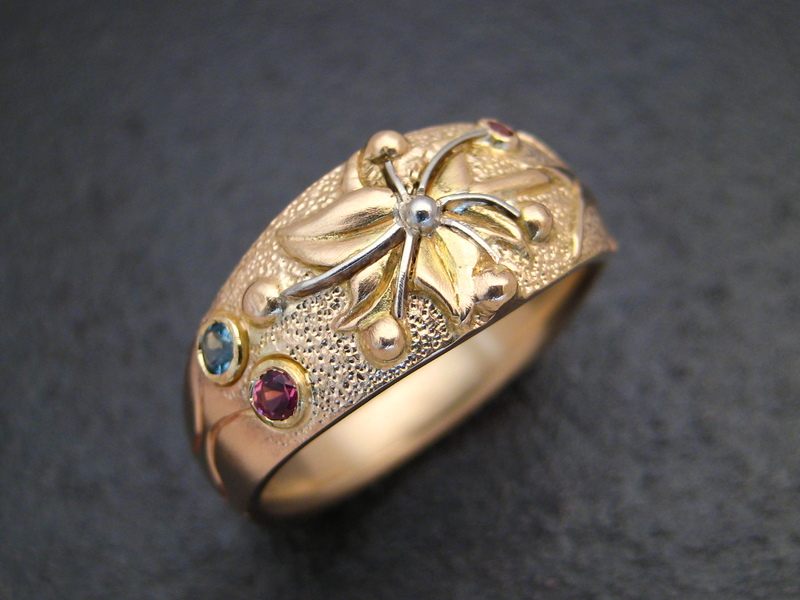 This ring was designed with a very special purpose and celebration in mind. 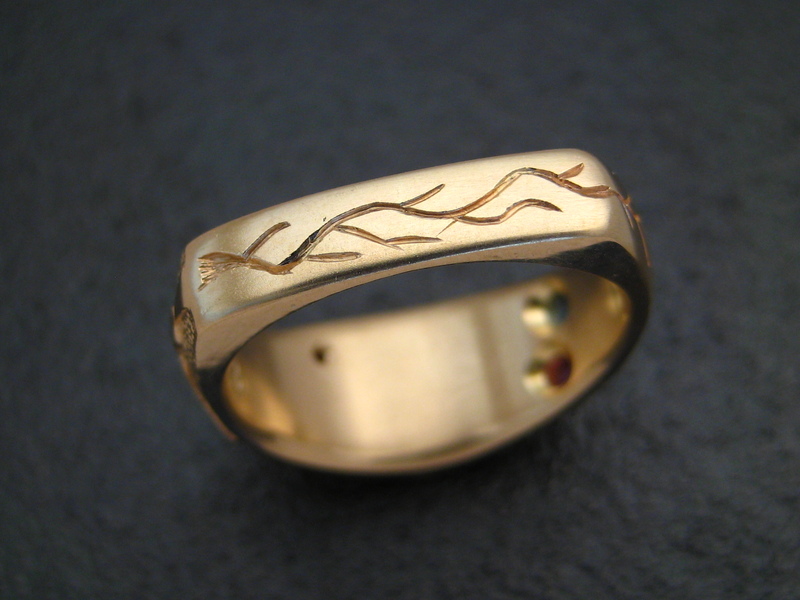 As I remember the tale, this young man came to me with a request for a ring to celebrate his wife and his marriage. When they married, he hadn’t much money for a wedding ring but now, years later, his fortunes had turned for the better and he wished to replace a rather shabby ring with something a bit more. Not knowing where to start I began interviewing him to see where that would take us. 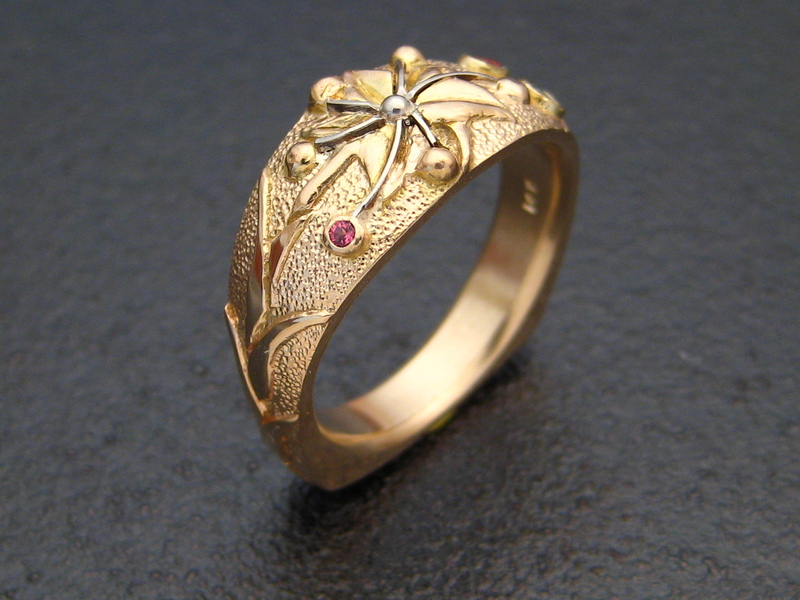 It turned out his wife loved a certain flower known as a star lily which gave me the germ of this design. It turns out he wanted the ring not just as a wedding ring but a Mother’s ring as well. The only problem was that they weren’t finished growing their family. They only had one child at the time but had dreams of six total. 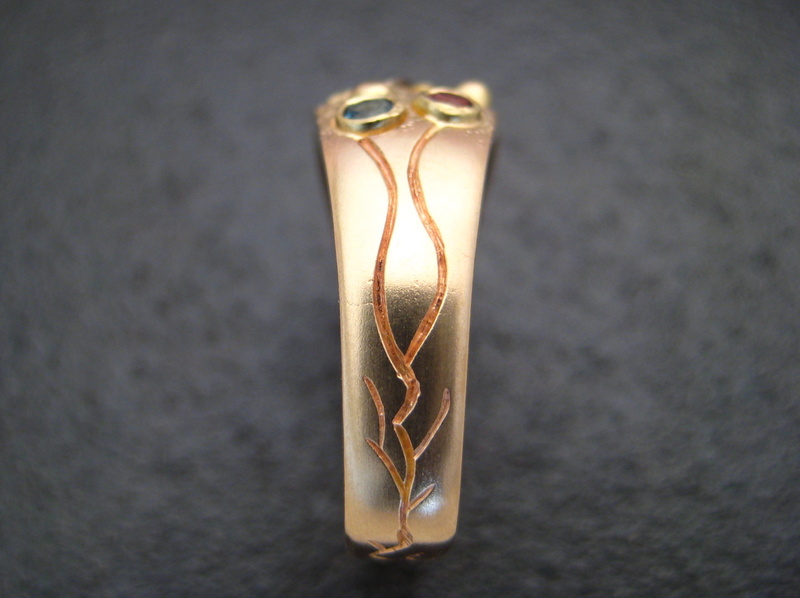 This design took into account that child as well as the two parents with their birthstones set like the two beginnings of the root system. The children would later be set like the anthers on white gold stamens with space set aside for all six. 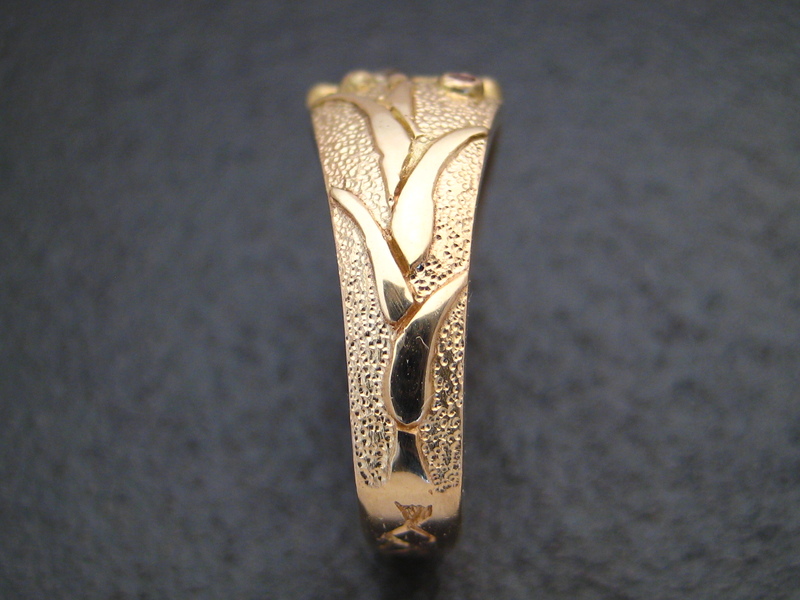 The flower grows up one side of the ring with roots stretching across the bottom of the shank and back up the other side. Since this photo was taken, I’ve added one more stone.